Sift together the gluten-free plain flour and xanthan gum. In a separate bowl beat the egg with the dairy-free milk. Add half the liquid to the flour and beat well. Then add the remaining milk and beat again, until well blended and smooth. The batter should be runny so add more dairy-free milk if necessary (different gluten-free flours need varying amounts of liquid added). Now put a little oil into a frying pan, heat until it begins to smoke then immediately pour some of the batter in allowing the mixture to spread. Fry one side of the pancake for a couple of minutes, then with a heatproof spatula gently loosen the pancake so it moves freely in the frying pan. Now flip the pancake over and fry the other side until golden brown. Serve immediately with sweet or savoury fillings or topping. 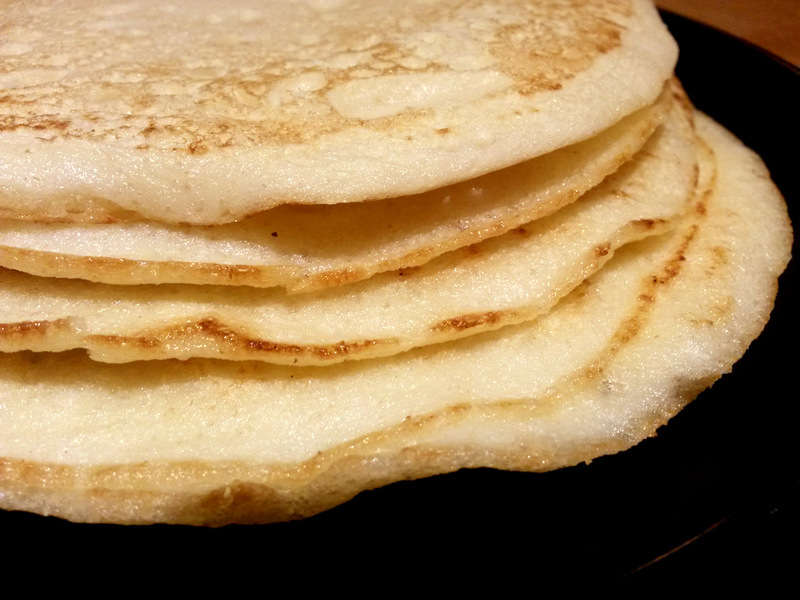 Top Tip: These pancakes are best eaten the same day but they can be successfully frozen when cooled by placing a layer of greaseproof paper in between each pancake, then put into a freezer zip-lock bag for about one month.